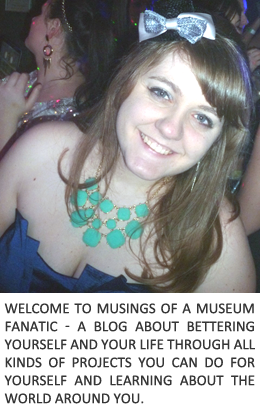 Musings of a Museum Fanatic: Liebster Nomination! Thanks Southern Beauty Guide for nominating Musings of a Museum Fanatic for the Liebster Award. 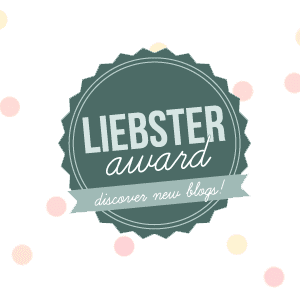 The Liebster Award is given to new or up and coming bloggers with less than 200 followers. It's a great way to find new and noteworthy blogs. 3. I've never been further west than Nebraska. 4. I started playing the violin in 3rd grade, still play it every year around the holidays. 5. Like Chelsee, I hate being late, I freak out when I even think I am going to be late. I always have to be about 15 minutes early or I'll get really anxious. 7. I've worked/interned at 7 different museums in the Chicago area since 2007. 8. I totally wish I was Greek. I don't know why but I'm totally obsessed with Ancient Greek history and modern culture. 9. I met my husband online. 11. I'm pretty sure I've been born in the wrong time period. 1. What event/idea in your life has shaped you the most? 3. What kind of things do you blog about? 4. What is your favority blog to read? It seems so odd when I think about it (cause were friends and talk all the time haha), at the moment I actually like reading my friend's Stephanie's the most. I tend to follow other ones more post by post, if the post is interesting to me I'll read that day. 5. Are you more of a Tweeter of Facebooker? 6. Where would you go if you could go on your dream vacation? Trip around the world ... I want to see it all! This is also a hard one! I guess I'd have to say the ones I still follow regularly are the NCIS shows. 8. How much time do you spend on pinterest? 9. If you could give one tip to other bloggers what would it be? 10. Are you...Team: Edward, Jacob, or neither? 11. What is the thing you want the most for Christmas? 2. If you could give one tip to other bloggers what would it be? 3. If you could live anywhere besides where you do now, places today or times back in history, where would it be and why? 6. Who was your favorite band/musician in high school? 8. Favorite museum you've ever visited? 9. If you could go back and alter one thing that has happened or you've done in the past what would it be? 11. What do you want to accomplish with your blog in the next 6 months? At least you did figure out that you love museums and museum work, a lot of people never figure out what they really like! Congrats on the Liebster award! I've been nominated before and never followed through with posting anything. You have inspired me to try and find time to actually do it!